Norway is one of nine European countries participating in the SUSTAIN project, having two sites involved: namely, Surnadal Municipality and Søndre Nordstrand Borough in Oslo Municipality. The sites focus respectively on integrated primary health and social care, and integrated rehabilitation at home. Last November the SUSTAIN project partners met in Oslo, Norway, hosted by their project partner, the University of Oslo, to discuss the implementation progress of the improvement projects in the different sites and dissemination strategies. 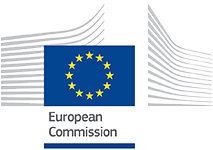 Norway is one of nine European countries participating in the SUSTAIN project, with two sites involved in project activities: namely, Surnadal Municipality and Søndre Nordstrand Borough in Oslo Municipality. The Norwegian sites focus respectively on integrated primary health and social care, as well as integrated rehabilitation at home. 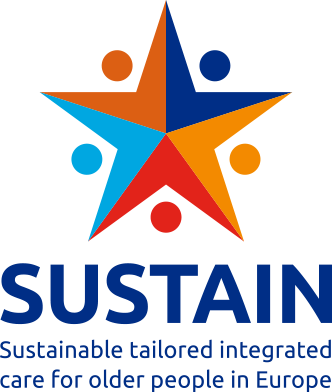 After joining the SUSTAIN project, both sites have been implementing improvement projects developed on the basis on the preexisting sites’ objectives, priorities and target groups, while responding to the overall SUSTAIN objective, by concretely improving the way care services for older people are organised and delivered, especially for those who have multiple health and social care needs. 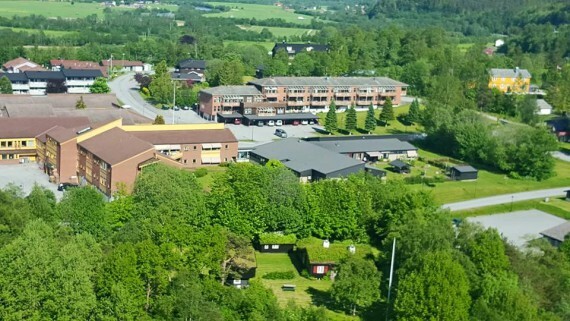 The first Norwegian research site is located in Surnadal Municipality (6,000 inhabitants) in Mid-Norway. Most municipal health services in Surnadal are provided within the Holistic Patient Care at Home (HPH) framework, which is a general care pathway that tracks service users from the moment they are discharged from the hospital and on wards. The site’s goal is to meet users’ health and social care needs, and to ensure that users are receiving the appropriate services at the right time and in the right place, in a seamless manner. 1) Rehabilitation services – Rehabilitation training was previously provided in an institution (e.g. nursing home). As part of the improvement project, these services are now being provided in users homes. 2) Day centers – Recipients of municipal health services in Surnadal have the opportunity to spend part of their day at the day center, which previously served up to six users per day. As part of the improvement project, the center has been expanded to serve 10 users per day and is charged with improving coordination with home services. Specifically, the day center staff now systematically observes and communicates users’ needs to home services, who then follow-up with the users as needed. To aid them in their efforts, the day center staff now has access to users’ electronic healthcare records. 3) Medication review – This initiative allows home nurses to schedule and accompany service users (and their informal caregivers) to their appointments with their general practitioners for medication reviews. This initiative was recently incorporated into the HPH way of working and is overseen by healthcare professionals trained in medication administration/safety. Questions that assess users’ needs for medication review have been incorporated into HPH’s needs assessment checklist. 4) Shared decision-making – In an effort to encourage users to become more involved in decisions about their healthcare, questions that address users’ preferences, needs, and goals from the users’ point of view have been incorporated into HPH’s main needs assessment checklist. HPH staff will receive training on how to field these questions during needs assessment. 5) Pre-emptive needs assessment – Occupational therapists perform a needs assessment in the homes of older adults who apply for a safety alarm or who request support with practical assistance (e.g., cooking or cleaning). The goal is to pre-identify individuals who currently have minimal needs for support but whose health and social status (per the needs assessment) suggests a greater need for municipal health services in the near future. Healthcare staff can then initiate preventive health measures as they prepare for this eventuality. The second research site in Norway is located in Søndre Nordstrand (SN) borough of Oslo municipality and has a population of approximately 38,000 inhabitants. 1) Broadly promote awareness about the borough’s health and care services (including low-threshold services) among users, informal caregivers, and healthcare staff. Low threshold services are offered by the borough and include non-care related activities that encourage social participation (e.g., senior center – an activity center for seniors). Information screens broadcasting relevant information are operational in highly visible public areas throughout the borough (e.g., grocery stores). The borough is actively working to appoint a resource point of contact for each of the units/departments involved in the aforementioned collaboration. The borough’s office in charge of processing applications for municipal health services is linking users to voluntary and low-threshold services. The borough is in the process of developing a “collaboration agreement” with voluntary organisations. Employed a ‘senior guide’ to work closely with the senior center to increase the use of low-threshold services among the elderly in order to reduce the dependence on formal services (e.g., home nursing). Engaged volunteers to offer low-threshold services to the borough’s service users/inhabitants. Increased its manpower by employing a senior supervisor in its division for prevention, voluntary work, and public health.